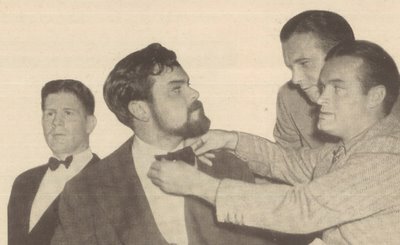 There were plenty of people wanting to take Orson Welles down a peg or two long before Hollywood and Citizen Kane. He was like the smartest kid in the class that everyone resented. "Little Orson Annie" and "Little Boy Boo" were just two of the monikers hung on him by press wags who thought OW too big for his britches. Here he’s getting radio's equivalent of schoolyard bullies that no doubt rode him unmercifully when Orson was growing up. Rudy Vallee, Bob Hope, and George Burns are giving OW the business over a new beard he’s sporting (one cowboy actor was said to have lately snipped off his tie with a knife and instructed Welles to "get out of town"). Yeah, I’m sure it was "all in fun", but there’s a nasty undercurrent to a lot of Welles’ press coverage from that period just after War Of The Worlds was broadcast. The public didn’t enjoy being played for fools by a broadcast hamster, let alone the media. A lot of this horseplay smells like payback of a faintly cruel sort, and I don't blame Orson for becoming somewhat imperious when real power finally came his way. Does Paulette Goddard look a little bored in this shot? 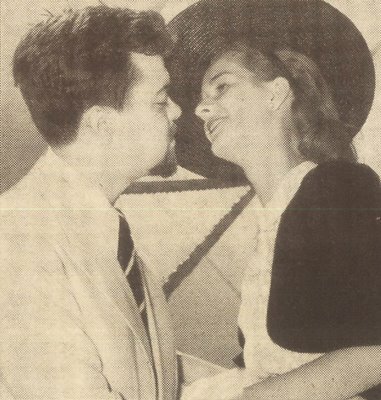 Well, at the time, Welles’ wife Virginia had just divorced him (shown here proferring the kiss-off), on the theory it’s no fun being married to a genius. Would Paulette concur? After all, she’d had her dish of that (remember Chaplin --- that supreme artist), and there’d be more to come (including Erich Maria Remarque). 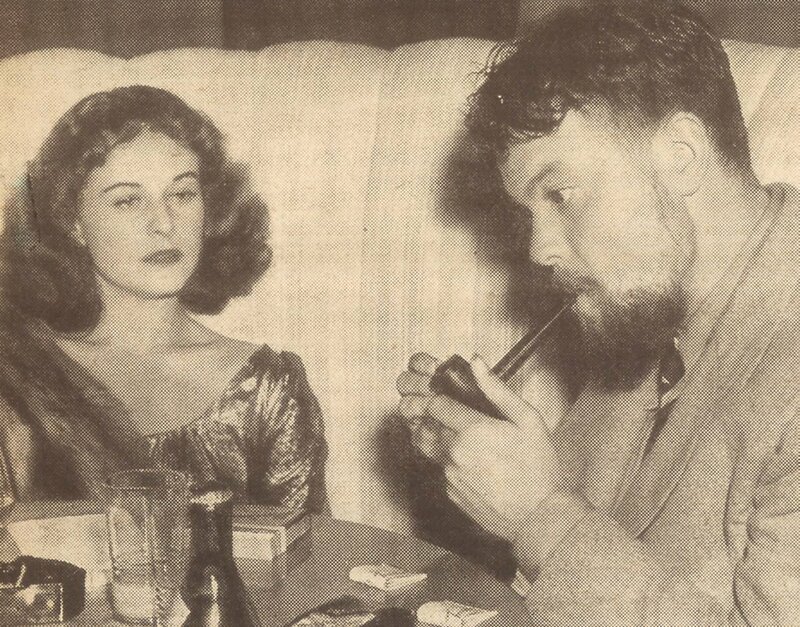 Chances are Orson won’t waste time pondering Shakespeare or Proust with the immediate post-Ghost Breakers (this is April 1940) babelicious Paulette --- he’ll instead be plotting their eventual retreat back to private digs at the Garden Of Allah (wouldn’t you?). 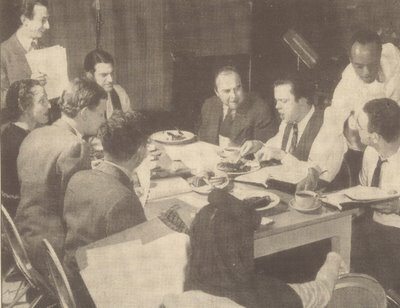 Meanwhile, back at the studio, fellow staffers get by on tuna sandwiches (if that) while OW digs into another Falstaffian repast (to paraphrase Preacher Harry Powell --- My, that steak looks yummy!). In his autobiography, Errol Flynn tells of Guinne "Big Boy" Williams' utter loathing for Welles. Big Boy once glued a beard onto a ham and sent it to Welles -- I believe Flynn referred to it as Guinn's "sign of disapproval." In case I haven't told you in a while, this is a great site.